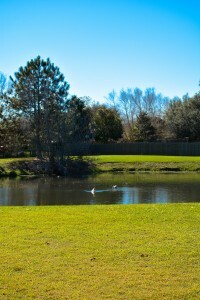 Idlewild is an ideal neighborhood to enjoy all Fairhope has to offer. 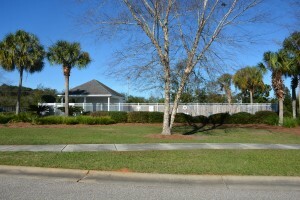 Conveniently located on Fairhope Avenue, this quaint sidewalk community has a great mix of young families and retirees. It is a regular sight to see children out playing and people working in their gardens. 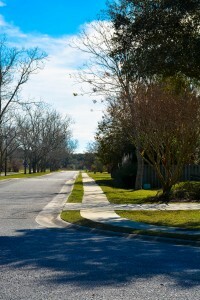 In this neighborhood you will find homes originally built by ABK Development in the late 1990s and early 2000s. These homes will typically be over 2000 square feet and come with custom amenities such as hardwoods, granite, crown molding, trey ceilings and covered patios. The smallest homes start with 3 bedrooms while the larger floor plans have a five bedroom layout. Most of the lots are right around .5 acre which is perfect to provide some privacy while still having all the benefits of a community. Idlewild also has a well kept community pool and right at 6 acres of beautiful common areas to get out and enjoy the wonderful Fairhope weather. 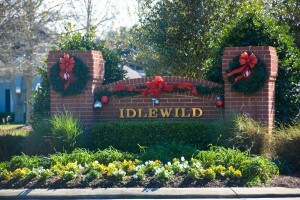 Idlewild is located within minutes of a hospital, schools, shopping centers and downtown Fairhope. If you are commuting to Mobile or Pensacola, Hwy 181 and 98 both lead to I-10. Your access to these two highways are just a short drive. If you decided to make Idlewild your home, your schools would be Fairhope Elementary, Fairhope Intermediate, Fairhope Middle and Fairhope High School. All 4 of these schools are less than a 4 miles radius from Idlewild’s front entrance. 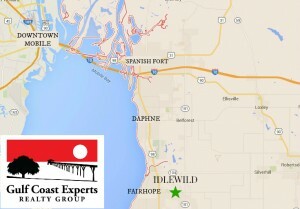 Idlewild is found in the historic city of Fairhope, Alabama. Fairhope is a one of a kind place that for years has attracted people from all over the country to come to make her their home. It is a vibrant town that lies on the Eastern Shore of the Mobile Bay, Fairhope is well known for it’s artistic appeal and incredible sense of community. It will not take you long to notice the lovely flower gardens on every corner and the smiles from the local proprietors as they welcome you in. It seems like there is always something to come and be a part of in Fairhope. From the multiple Mardi Gras parades, to the Fairhope Arts & Crafts Festival in March, to the downtown New Year’s Eve Celebration and all that is in between, there is rarely a time when there isn’t a celebration on the horizon.